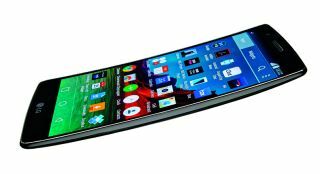 LG invests $1.7 billion in OLED screens for flexible phones | What Hi-Fi? LG is getting serious about flexible OLED displays. Not content with a host of five-star 4K OLED TVs, LG is looking to push ahead with plans to bring more flexible OLED screens to market. We've seen various curved, bendable and even rollable screens from LG (and Samsung) in recent years, and after rumours last month, LG Display has confirmed it is investing a hefty KRW 1.99 trillion (around $1.75bn or £1.33bn) in a new flexible OLED display production line. The new line will specialise in making bendable OLED screens that can be used in flexible mobile phones. Just last week it emerged the company was working on a foldable phone that can double as a tablet. LG is already pumping out plenty of the necessary displays using existing lines, but this new investment is said to be in preparation for "the approaching era" of flexible phones. LG Display, a subsidiary of LG, invested around $905m in flexible OLED last year, revealing prototypes such as the LG 'Wallpaper' screen, which can be stuck flat to a wall and then peeled off. And two flexible smartphones have already been released, the LG G Flex and G Flex 2. According to IHS DisplaySearch, a market research firm, the flexible OLED market is expected to grow from 59 million shipments in 2016 to 416 million in 2020.